This article outlines a structured process for ‘Leadership Development’ through ‘e-Learning’. It defines an approach to build leaders to manage your company’s business. Producing Leaders of the desired specifications is now within your reach, if you read, understand & implement this approach. One is loved by the people as a trustworthy person. One cares for the people & their aspirations. People like to follow you & consider you as a role model. Is Leadership a Style or a Behavior? Style is a personality trait. It becomes relevant only if the attributes that constitute ‘leadership behavior’ are a part of your personality. Let us examine these attributes, as applicable to business leaders. Takes ownership: gives decisions & makes people accountable. Can these Attributes be developed? Yes, by focusing on certain skills & competencies. Let us study the approach followed by a Business Group which identified 14 different competencies and grouped them in 3 clusters (as shown in Figure I below). These competencies collectively help in developing leaders for different levels in the organizational hierarchy. Let us understand which all competencies/ skills are applicable to different levels of management. This will enable us to develop training capsules to build these competencies. A sample ‘Applicability Matrix’ is shown in Figure II below. Managing Vision & Purpose . . Dealing with Ambiguity . . Junior Manager Collaborates with Customers to add value (i) Seeks to understand & include customer requirements in all operational plans & activities. 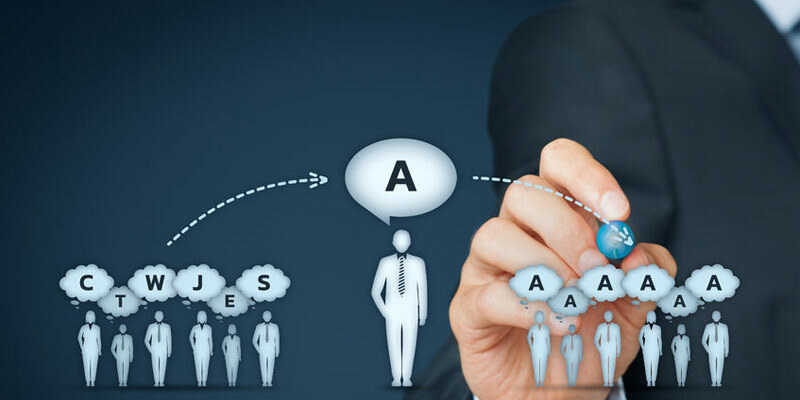 (ii) Ensures effective follow up, responsiveness and feedback to ensure customer requirements are being met (iii) Works with customers to identify ways to increase customer value of products/ services in use. Mid-Level Manager Explores and satisfies market demands (i) Probes for critical information about customer trends & needs and incorporates learning into operational plans (ii) Personally leads an outward looking organization that ensures effective relationship with customers at all levels (iii) Establishes long term relationships with customers to ensure sustainability of operations (iv) Integrates team and functional plans based upon new market & growth opportunities for new & existing customers. Senior Manager Senses new business opportunities (i) Anticipates patterns, trends & influences in global consumer thinking and their impact on strategic intent of the business (ii) Develops alliances and interacts with key influences who affect global consumer trends (iii) Develops, communicates and practices a set of values that encourage appropriate external interactions (iv) Identifies future step changes in customer demands which will lead to the potential to create a new business or change the portfolio. Top Management Simulates new market demands (i) Understands the underlying needs of global market and incorporates these insights into strategic business development (ii) Develops strategic partnerships and alliances with other suppliers to enhance each other’s business (iii) Creates an organizational culture which is extremely focused and ensures appropriate interaction with the external world (iv) Identifies discontinuities in customer trends and new business opportunities. Leaders are to be developed by building leadership competencies in managers at different levels of the management hierarchy. For a competency, say, ‘Customer Focus’ (which is applicable to all levels), the role expectations differ for each level. Refer to Figure III for details. The content of a learning program will, thus vary as per the Expectations Matrix. To develop ‘Customer Focus’, as an example, there will be 3 Learning Programs. For a fresh entrant as an Executive in the management cadre, qualifying in 9 competency development programs (applicable at the Junior Manager level) shall be mandatory for promotion from ‘Executive’ to ‘Junior Manager’. All programs could be structured as ‘e-Learning programs’, with built in certification. In a similar manner, e-Learning programs have to be designed for all competencies applicable to mid-level managers and senior managers. There will be a total of ’35 e-Learning Programs’ in an organization focused on Leadership Development. Selection of top Leaders for the organization will eventually be from the ‘Leadership pipeline’ so created. MDs/ CEOs/ Functional Heads shall emerge from within. There will be no need for market search for talent to steer the organization. Developing Leaders in an organization is a complex task. 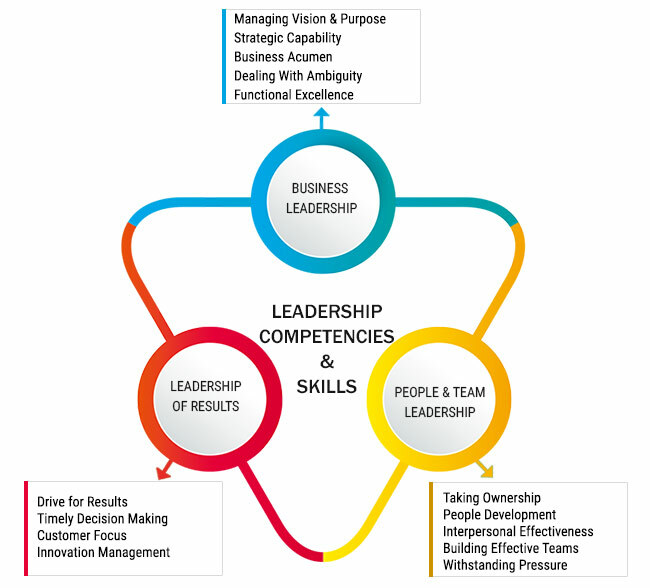 Firstly, identify the ‘Leadership Competencies’ applicable to your line of Business. Then map these competencies to different levels of employees in your management cadre. Decide & pen down the expectations for each competency at each level. List out the number of ‘e-Learning programs’ required to be designed for each level. Focus, in depth, on the content of each program. Let each program have a built in certification, with gradations. Allow employees to learn, qualify & upgrade themselves, on a continuous basis. Link managers promotions with the gradations achieved in these programs. Place those, with high grades (achieved in minimum time), in ‘Leadership Pipelines’. Review those who feature in the pipeline, on the basis of annual performance. Introduce other development tools to build those shortlisted for top management positions. Your potential MD/ CEO & Functional/ Operational Heads are ready to assume these roles.